While any auto crash in Grapevine can be a frightening and traumatic experience, a hit and run crash can add complications to your life and your ability to obtain compensation of your injuries. A hit and run wreck is one where the driver does not stop and instead flees the scene of the wreck. If this has happened to you, you need the assistance of an experienced car crash attorney who can help you identify and pursue all avenues of compensation. Why Do Hit and Run Drivers Flee the Scene? Negligent driver. The hit and run driver is fully responsible for compensating you for your injuries if you locate him. The Grapevine Police Department may be able to identify and find him if you or other witnesses or have sufficient information. In addition, an experienced car crash attorney may conduct a more thorough investigation, which can include tracking down eyewitnesses, pictures, and surveillance camera footage that can help you find this driver and hold him accountable. Uninsured motorist coverage. In Texas, your auto insurance company was required to offer you uninsured motorist coverage, and you would have had to waive it in writing. So, you many have uninsured motorist coverage as well as other optional insurance coverages to compensate you for your injuries. However, you still need the assistance of a lawyer to ensure that you receive a fair settlement from your insurance company. Were you injured in a hit and run crash? 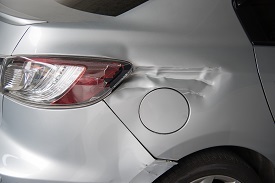 Our experienced car accident attorneys are here to help you pursue all avenues of compensation for your injuries. Our office is conveniently located in Colleyville. Contact us online or call us directly at 817.380.4888 to schedule your free consultation with a member of our skilled legal team. We help injured car crash victims throughout Texas including Arlington, North Richland, Grapevine, Bedford, Hurst, Euless, Irving and all points in between.